Happy Thursday! 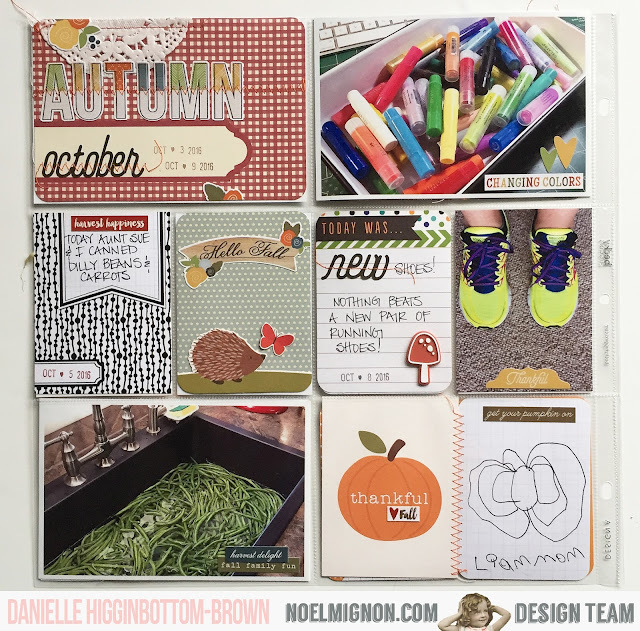 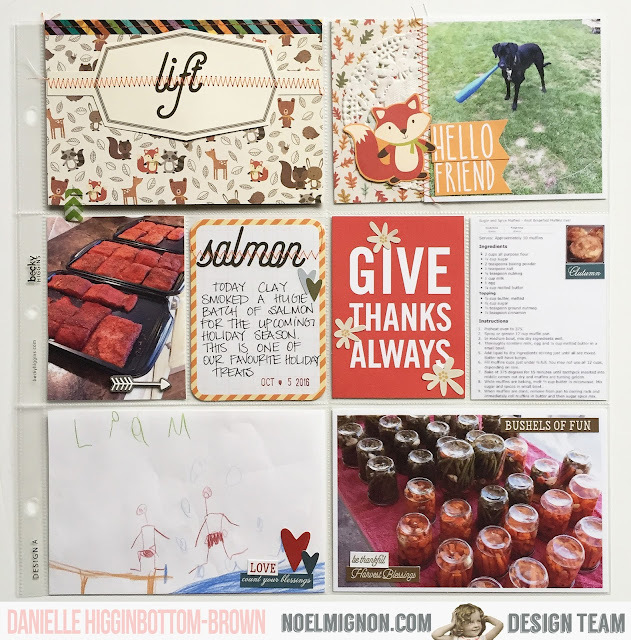 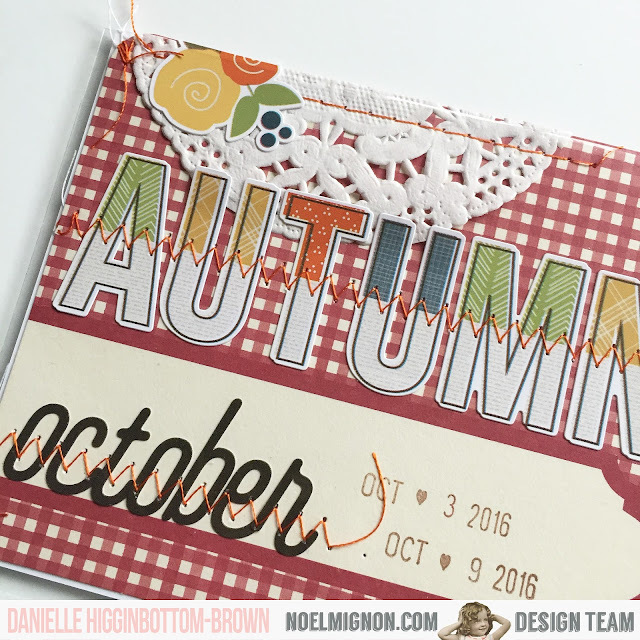 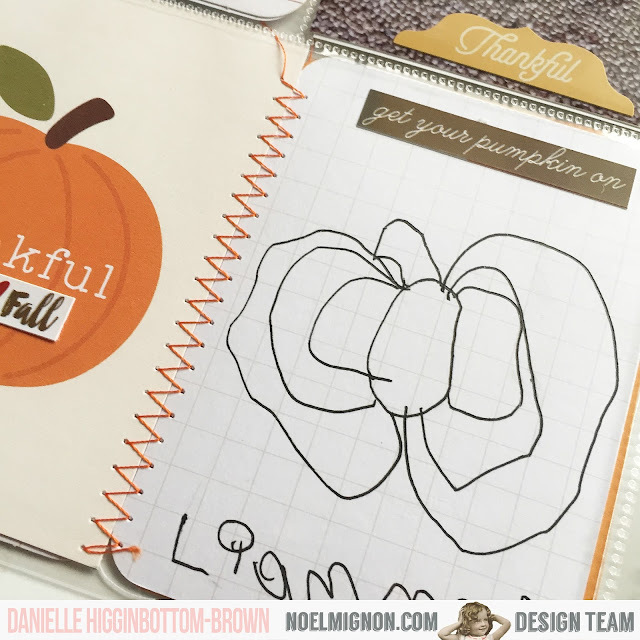 Today I have my Project Life Week 41 to share with you using the Noel Mignon Falloween Daily Diary Kit! 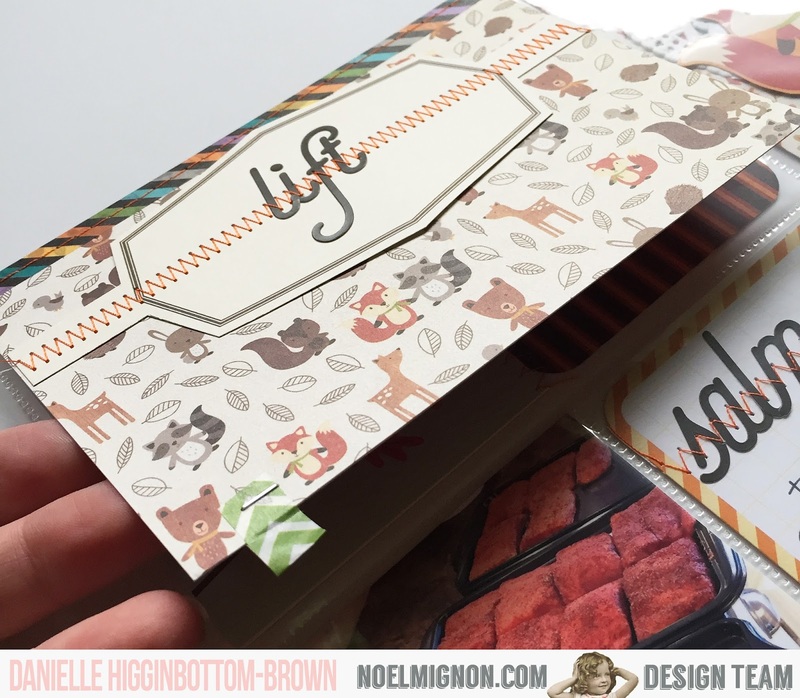 I created a flip up 4x6 card. 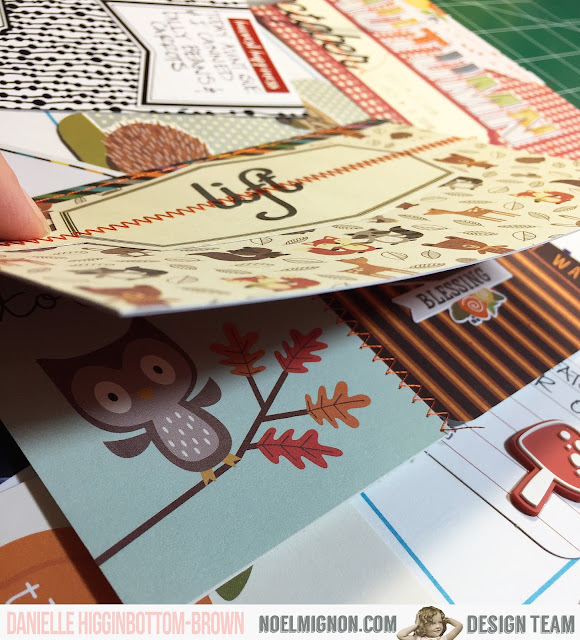 I have a super easy tutorial a little further down in the post. 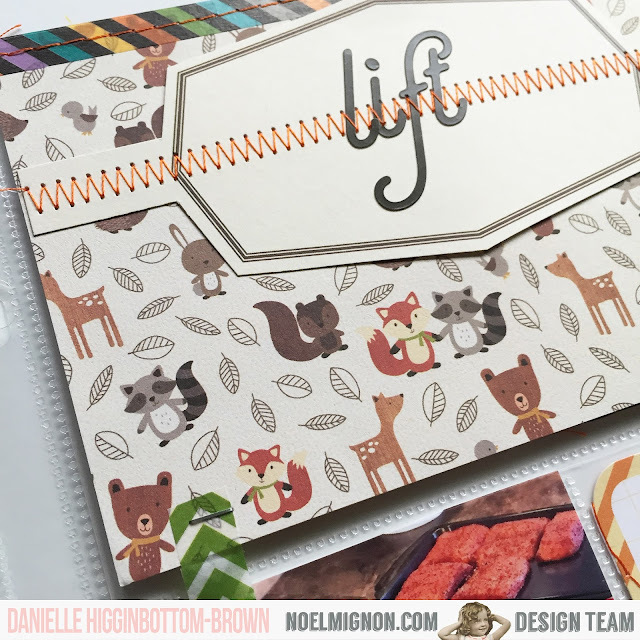 There are so many fun elements in this kit. 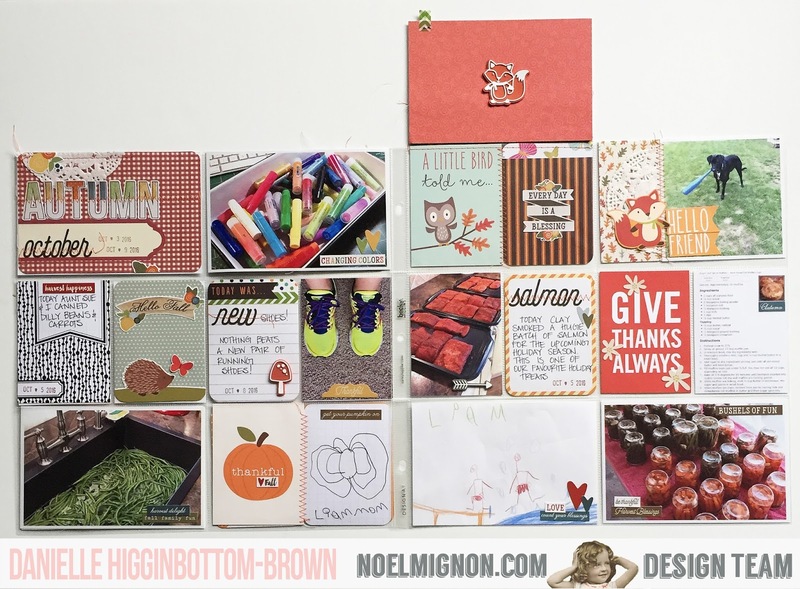 I used one of the Simple Stories 3x4 horizontal card with the hedgehog & butterfly, fussy cut them out, the glued them to a vertical 3x4 card. 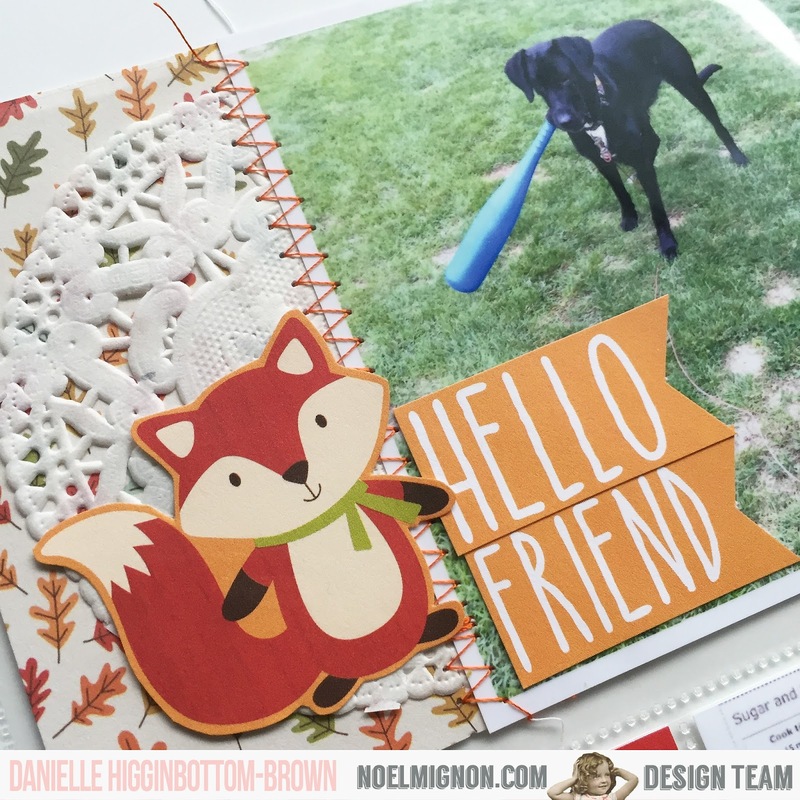 I also fussy cut the cute fox & hello friend from one of the Simple Stories cards and used them like little embellishments on my 4x6 card/photo. 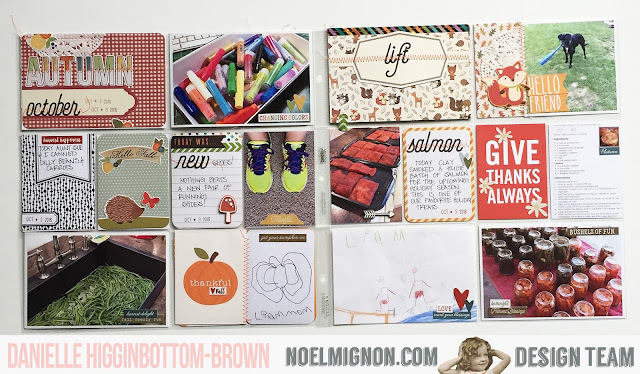 Another thing I enjoy adding to my Project Life is a screen shot of a new recipe I tried! I used washi tape to adhere the 2 4x6 cards together, leaving just a touch of space between the two. 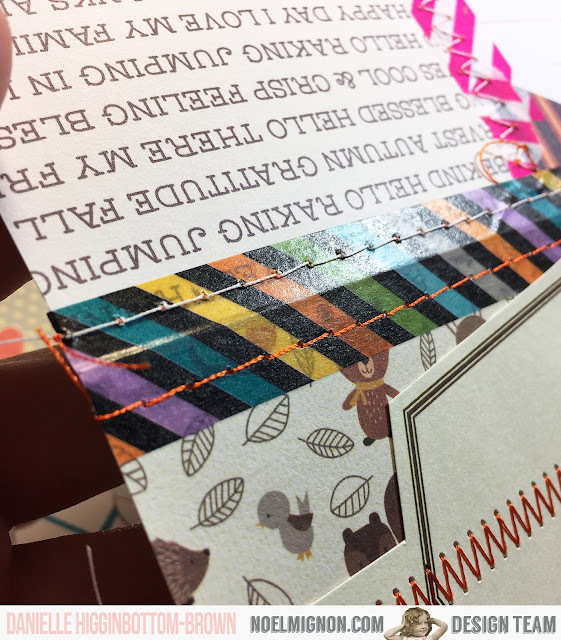 Next I added some machine stitching for some extra detail, and also because I wanted to make sure that with all the handling of this card over time, the washi tape didn't peel off. 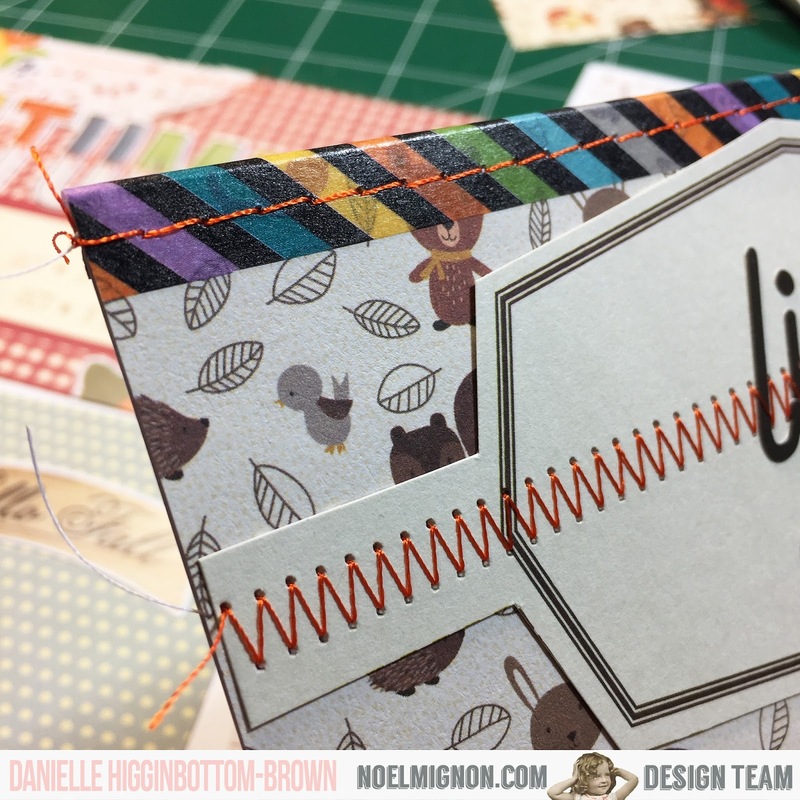 I just love that Bella Blvd Washi strip!! 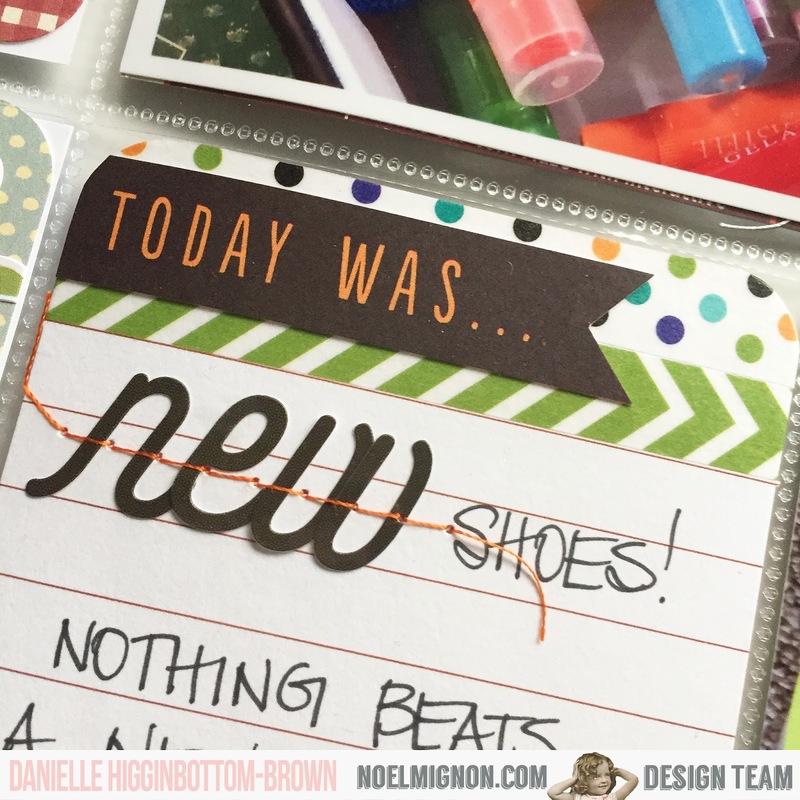 I used a few more of the Bella Blvd washi strips on this journal card, then fussy cut and created the "Today Was..." banner. I ran out of "w" alphas, you I used 2 "v" alphas and stitched them down.